MBARARA – Three games into the second round, Express are still searching for their first goal and point(s). 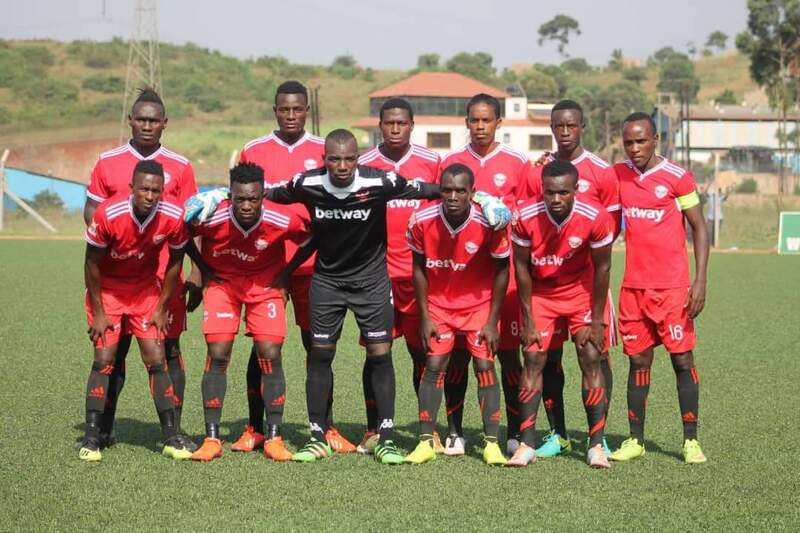 After losing their opening two games of round two, 1-0 at Tooro and 2-0 at home to Police, they rang the changes in management as George Ssemwogerere replaced Kefa Kisala. In Simlala’s first outing, they went on to lose 1-0 away to Bul, leaving them in 12th position at the kick of the ball on Wednesday. Having struggled in the relegation zone for the better part of last season, the Red Eagles are keen to avoid a similar scenario this time round but with the way things are going currently, it may just be a matter of time before last season’s misery slaps them in the face again. On Wednesday, they have a chance to put their woes behind them when they travel to Kakyeka to face relegation bound Nyamityobora. However, these game offer the most complication as the Abanyakare are currently fighting for their lives. It is a game that neither side is willing to lose, something that Simlala is well aware of. “Both sides need the points for obvious reasons, said Simlala ahead of the game. “We have lost all our first three second round games and they (Nyamityobora) are fighting to avoid relegation. “However, i am confident that my boys have the required hunger and determination to pick up all threw points from the game. Express are set to be without a number of first team players. Tony Odur, Goffin and Eric Kambale are all still injured. Michael Birungi is serving the second of his two game ban after also missing the loss to Bul last Sunday. For Nyamityobora, they have a full strength squad to choose from. After winning 4-1 away to Police in their second round opener, Asaph Mwebaze’s side have been brought down to earth with two consecutive loses. They lost 1-0 at home to Vipers and then 3-0 against Mbarara last time out. With Ndejje defeating Maroons 1-0 on Tuesday, they start the day second from bottom but three points against Express will see them move back into 14th, three points away from safety. This will be the second top flight meeting between the two sides. The first one on 28-12-2018 saw Express defeat Nyamityobora 2-1 at Wankulukuku. Away to the newly promoted sides, Express has so far managed 3 out of a possible three points, defeating Paidha Black Angels in Arua. Going into Wednesday’s game, Nyamityobora has won only one of their last six League games (D2 L3). At home, they have also won only one of their last 6 fixtures (D1 L4). For Express, they have won one of their last 7 (D2 L4). On the road, the Red Eagles have managed only two victories all season (D2 L5). None of those victories have come in their last 6 away games.